Does your company need temporary life saving equipment? Are you holding a sports event with large numbers of people taking part? 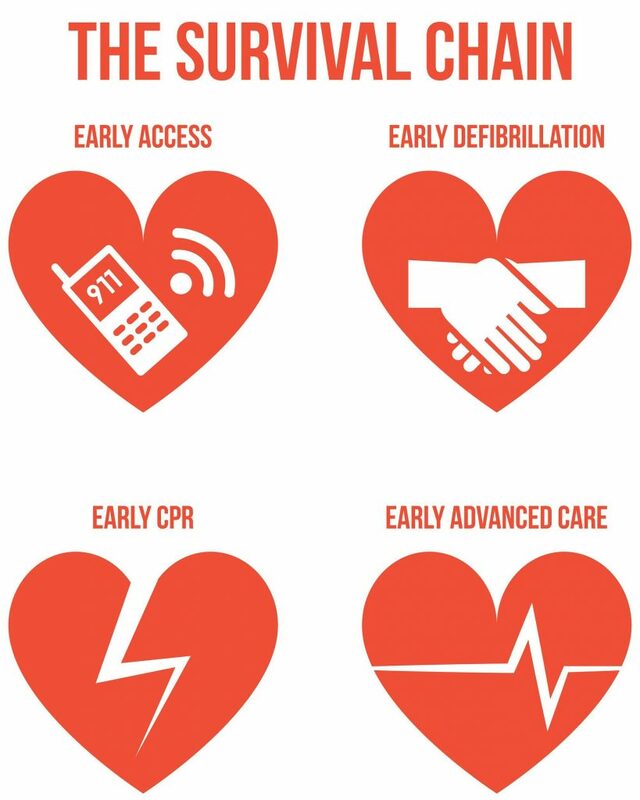 Defibrillators are proven to save lives, and have never been easier to use. HESE provides rental defibs that are fully automated and public user friendly. Ventricular Fibrillation is an electrical heart malfunction, usually inflicted by an abnormal beating of the heart, which is known as arrhythmia. Victims will lose a pulse, any ability to breathe independently, and their consciousness. The victim is effectively “clinically dead” and can only be physically brought back in a very short window of opportunity, using a defibrillator or AED. High-energy electric shock currents are given to the heart in times of cardiac arrest, and can pump it up. It is a common misconception that AEDs “restart” the heart; it actually stops it to restore a more stable rhythm. This was the trauma and treatment former Premier League footballer, Fabrice Muamba, experienced after he collapsed whilst playing in an FA cup-tie in March 2012. His case was even more remarkable as he was “clinically dead” for 78 minutes, during which he was given continual CPR and chest compressions, with AED. He has since joined forces with the (LAS) London Ambulance Service to place 1,000 AEDs in businesses, gyms and shops, but HESE want to extend their excellent work right across the UK, Europe and Third World Countries. In such circumstances, rapid response is absolutely crucial, and a fundamental philosophy of air ambulances when working to preserve life for the trauma patient. Automated portable technology, like AEDs, are designed in a way that makes them user friendly to the untrained member of the public, thus handing them a key role whilst the air ambulance is on its way. It is often argued that AEDs should have the same ubiquitous presence in public places such as first aid kits and fire extinguishers. In light of this, HESE are committed to providing as many AEDs (and CAERvests) to as many places of work; public venues as possible, whilst educating the public (with our first aid sessions) so more people are aware, calm, confident and willing enough to carry out what could be a life saving duty in someone’s hour of need. HESE are always adding more public access defibrillators to our world wide Defibrillator Locator Map. 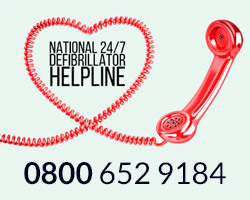 You can help us add a defibrillator to the database by contacting us with the exact location of the device, as long as it is public and not private access. For all enquiries as to renting our Defibrillators or CAERvests, please click here. Defibrillation is an essential in the survival chain.